Curtis and Sarah Millsap, along with their eight daughters, infant son, and several apprentices, operate Millsap Farms, a 20-acre diversified farm four miles north of Springfield MO. They bought the farm in 2007 from James Brown, who had run a successful nursery and bedding plant business on the farm for 30 years, building the big greenhouse, shop, and house in 1975-78. 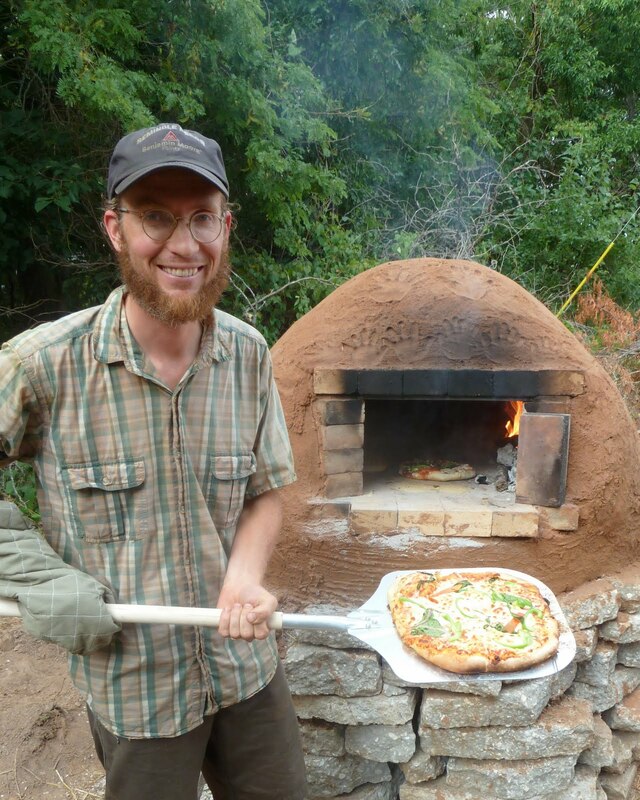 The Millsaps started farming full time in 2008 with a 20 member CSA and farmers market sales, raising pastured broilers and layers, turkeys, one acre of vegetables, and bedding plants. They’ve since metamorphosed through several different versions, including raising 1,200 broilers/year, 400 turkeys, 600 layers, 30 goats, 40 hogs (including a sow/baby pig operation), cattle, up to 7 acres of vegetables, a home bakery, and several other more and less successful enterprises. 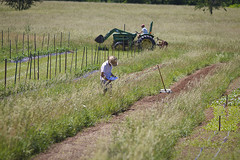 Currently, the Millsaps grow 2 to 3 acres of vegetables annually, with 12,000s.f. under plastic, including a 1,600s.f. chinese solar greenhouse and a 6,000s.f. minimally heated greenhouse, using organic practices, for sale through a year-round 85 member CSA, farmers’ market, and grocery stores. 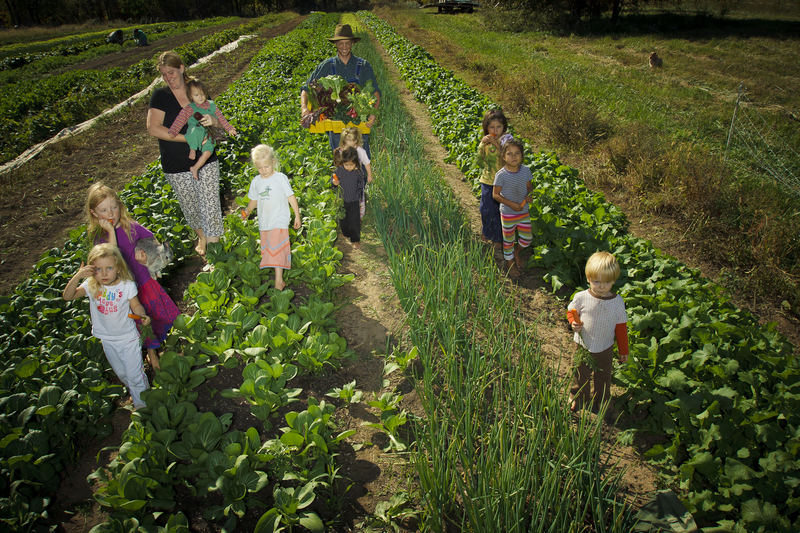 The farm has become a community, where there are usually several families and individuals in residence, learning to farm and preparing to begin their own farming adventures. The Millsaps are always looking for ways to do more with less, including soil, energy, and water conservation measures such as no-till, solar greenhouses, intensive plantings, etc. The Millsaps hope to continue their mission of raising healthy food in a way that’s good for their family, their land, and their customers. 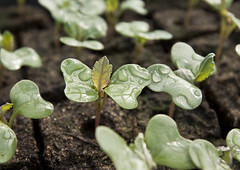 They plan to continue to grow their CSA and learn more about applying the right amount of effort, energy, fertility, and water to receive the best yield from their land. Sarah and Curtis are also passionate about establishing bonds of community with eaters, farmers, and learners in their region, and are always on the lookout for ways to build these relationships. 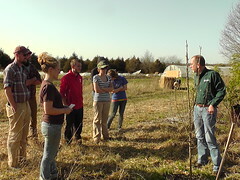 Curtis has a passion for teaching and finds time share his knowlege with the next generation of farmers through Ozark CRAFT. I would like to purchase organically grown grapes ASAP. Only need 2 clusters. May I come to your farm to purchase them. Loretta Slater, Branson West, MO, glslater2@gmail.com, 636-248-6338. Please email me as to when I can come and get the grapes. I am using them to begin a sour dough starter.